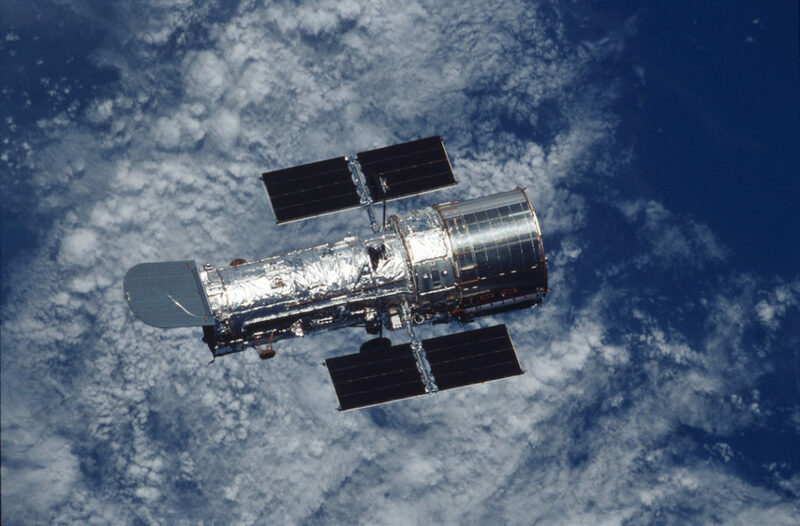 NASA's Hubble Telescope's Camera Shut Down Due to "Hardware Anomaly"
NASA just confirmed that the Hubble Space Telescope is currently experiencing a hardware anomaly due to an issue with its Wide Field Camera. NASA just confirmed that the Hubble Space Telescope’s main camera, the Wide Field Camera 3, remains suspended due to a hardware anomaly. The announcement comes just three months after the space telescope went into “safe mode” due to a gyroscope malfunction. The hardware anomaly reportedly occurred last Tuesday, resulting in the suspension of the WFC3’s operations at around 17:23 PM UT. Luckily, the camera has a backup that engineers can use to turn the camera back online after resolving the problem. “Wide Field Camera 3, installed during Servicing Mission 4 in 2009, is equipped with redundant electronics should they be needed to recover the instrument,” NASA spokesperson, Cheryl Gundy, said in a statement. Fortunately, the hardware anomaly did not affect other instruments onboard the Hubble. The other three science instruments, the Advanced Camera for Surveys (ACS), the Cosmic Origins Spectrograph (COS), and the Space Telescope Imaging Spectrograph (STIS) will continue their astronomical observations. “Hubble will continue to perform science observations with its other three active instruments, while the Wide Field Camera 3 anomaly is investigated,” the U.S. space agency went on to say. The WFC3 has contributed to a lot of Hubble’s extraordinary observations of the Universe. Among its many discoveries are the tiny moons around Pluto and the 14th moon orbiting Neptune. Just recently, before its camera glitch, Hubble also discovered the brightest quasar ever seen in the early universe. The quasar cataloged as J043947.08+163415.7 reportedly has the brightness of about 600 trillion suns. The light from this quasar reportedly began its journey when the universe was only about one billion years old. At such a young age, it could potentially provide insights into the birth of galaxies. Do you believe that NASA should consider a servicing mission to the Hubble Telescope?